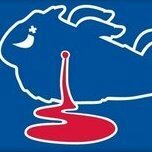 The Buffalo Bills are on the clock! Jawaan Taylor seems to be consensus BPA but I think we'd be more comfortable taking someone with more versatility in Jonah Williams. Daboll knows what he's working with him too. Wilkins would be a possibility too. Tough call since Oliver was snagged right before us. I like Taylor over Williams. I think Taylor can be an all pro RT. My honorable mention would be Brian Burns. I think he's the best pure pass rusher in the draft. Trade down an option? If so take it...If not an option then Montez Sweat DE Miss St Bills need a pass rusher and he is the best one on the board. I would go Brian Burns as an option as well however he has one move to get to the rusher and if the move doesnt work he is pushed down. I think he fits a better 3-4 OLB rusher then he would in a 4-3 de hand in the ground rusher based on his speed. Sweat seems to be the overall better rusher and would fit well in a 4-3 DE as his last year he played predominantly in the 4-3 position. With that said I wouldnt be upset about Burns being the pick based on me being a Nole fan and liked him a lot in college. Taylor it is. Thanks for voting.